The Red Wings have made two roster moves today, calling up player while sending down another. 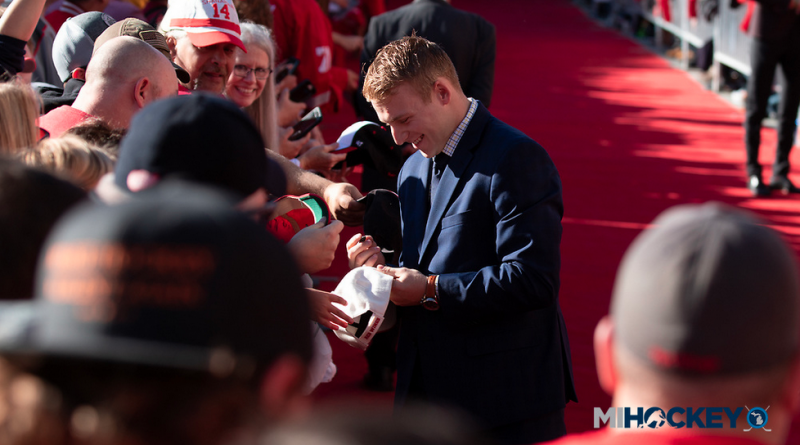 Joe Hicketts is on his way back to Grand Rapids, while Wade Megan is joining the NHL club. Megan, a forward, will be filling in while the Wings deal with injuries to Andreas Athanasiou and Frans Nielsen. A free-agent signing this off-season, Megan – a Canton, N.Y., native and former Florida third-round pick – has four points in eight games for the Griffins this year. Hicketts, meanwhile, has appeared in eight NHL games this season. He hasn’t recorded any points in that timeframe.